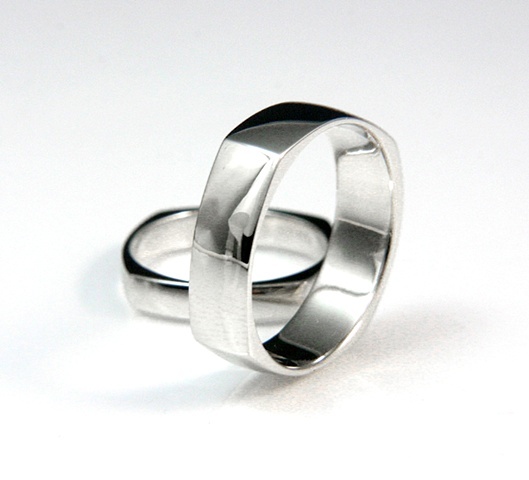 These custom wedding bands are 14K Ultra White Gold. The upright band is 6mm wide and the other band in the background is 3mm. The rings are curved squares with round insides.